In our natal chart, the positioning of the Moon talks about how you react to the inner and outer worlds. It is the point that explains how you express yourself in intimacy and relationships with others. Find out what Moon in Gemini has to say to you. Moon in Gemini is ruled by element air (just as Libra and Aquarius) and the planet Mercury, a volatile combination. Even if you have the Sun or Rising Sign in another element, it is probable that you are somewhat unstable. People who have Moon in Gemini express themselves curiously. They are extremely communicative and quick in their thoughts. Speed is a good word to define Moon in Gemini. Unlike Moon in Aries, which is also a moon of great dynamism, Gemini offers another type of inconstancy. Intellectual intelligence is strong enough to perceive all the nuances of their emotions, but it fails to apply knowledge in the way they express themselves. These people are those who do not stop thinking a second and change their minds every millisecond. They seem nervous, on the rush and usually suffer from anxiety. It may be humanly impossible to overflow the amount of thoughts and feelings that Moon in Gemini may have. Therefore, physical exercises and meditation are great allies in this case. On the negative side, this Moon will bring an excess of comments and the person will be those who talks too much. Do you know somebody who can not stand silence and says anything to break the discomfort? Moon in Gemini! However, this habit of speaking a lot leads them to say things that others want to hear and not the truth. This does not inspire much confidence and can pass the image of fake people. Instability also affects their commitment and sense of responsibility in the things they take on doing. Moon in Gemini makes smart, pleasant and charming people because they carry a lot of knowledge. This is a great Moon for relationships with friends. But with the family and the lovers, it is not so positive. They like to think and explain the emotions they feel. They will love being in relationships where they can see, hear, and exchange ideas in a dynamic way. As Gemini is the sign of the intellect, they almost have orgasms when they can make a general analysis of the facts. However, they are cold in physical contact and dislike affection demonstrations. When it comes to the professional area, they will hardly be seen in a job for long years. There is a restlessness that always leads them to the new from time to time. Being a freelancer would fit like a glove to anyone who has Moon in Gemini. Or, some job that to travel is a frequent possibility. 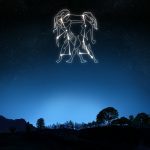 In fact, the challenge of Moon in Gemini is to learn how to deal with the complex emotions of others in the same meticulous way that deals with their own. Because not paying attention to what others feel is selfishness. When the day is not good, they quickly become moody and cranky. It is better to leave them alone with their thousand thoughts until they can reorganize on their own. One way or another, everyone is looking for the least security in a relationship and security is the hardest thing for this moon to offer. This is a delicate positioning and in its speed and volatility, Moon in Gemini changes their mind all the time. It’s those people who get “Do I really like her?” “I think so”, “Well, but if I think about what she did today, I do not think I like her”, and so on. Gemini is such a clever sign and can know what lies behind the emotions, so they should take advantage of it. Just ask the right questions yourself to find the truest and definitive answers. Sun in Gemini: what does it mean?